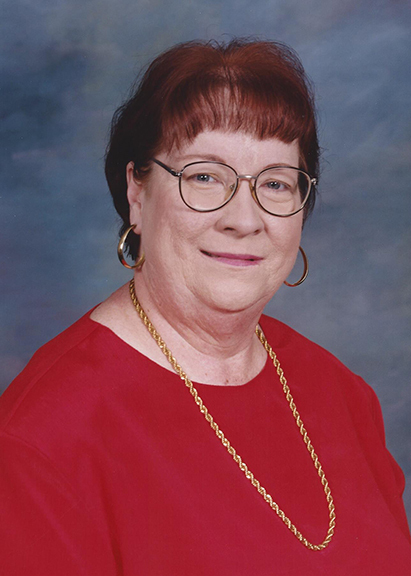 Dollie Nora McMakin, 68, of Nederland, passed away Thursday, April 11, 2019, at Magnolia Manor in Groves. She was born October 15, 1950, in Port Arthur, to Dena Myrtle Kyle and Hosey Gaston McMakin. Dollie was saved by grace through her faith in Jesus Christ at the age of nine, staying active in her church as long as her health permitted. Being involved in many church activities, she especially cherished her time as counselor at the Baptist Encampment in Glorieta, New Mexico. She attended Stephen F. Austin State University for her B.A. in sociology and attended Lamar University, earning her Masters in education for guidance and counseling. Most of her career was spent at the Beaumont State Center/ Spindletop MHMR. Dollie will be remembered for her kind and generous spirit, her love and true friendship, being prayerful for other’s needs, and her deep satisfaction of time with family. She impacted all our lives and will truly be missed. She is survived by her cousins, Christine Jensen Murphy, Frank Dombrosky, Orville Dombrosky, and Troy Dombrosky. She is also survived by her life-long friends, Gail Work, Debbie Felder, and Connie Claus. She was preceded in death by her parents. The family thanks all those in her life that made her life so special and those who cared for and loved her at Magnolia Manor. A memorial service for Ms. McMakin will be 1:30 p.m., Saturday, May 4, 2019, at Broussard’s, 505 North 12th Street, Nederland. Her cremation arrangements will be handled through Broussard’s Crematorium, Beaumont. Respite and Dollie, great memories. You were a friend and coworker. Rest now, see you in the morning when we meet again. Dollie your kindness will not be forgotten! Rest in peace, Dollie. You gave your best to the life you were given on this earth, and now you are so deserving of your heavenly reward. Job well done. I knew Dollie from the B.S..C. She was a character. Lost contact with her when she left Beaumont. I worked with Dollie at Beaumont State Center many years ago, and going back even further I knew her at Stephen F. Austin State University, where we both lived in the same dorm for a semester. It was never dull when Dollie was around--she was always a lot of fun. Condolences to the family. I worked with Dollie years ago at the Bmt State Center Awesome individual. Condolences to family. Dollie and I worked many years together at BSC. I know you are loving being face to face with Jesus.